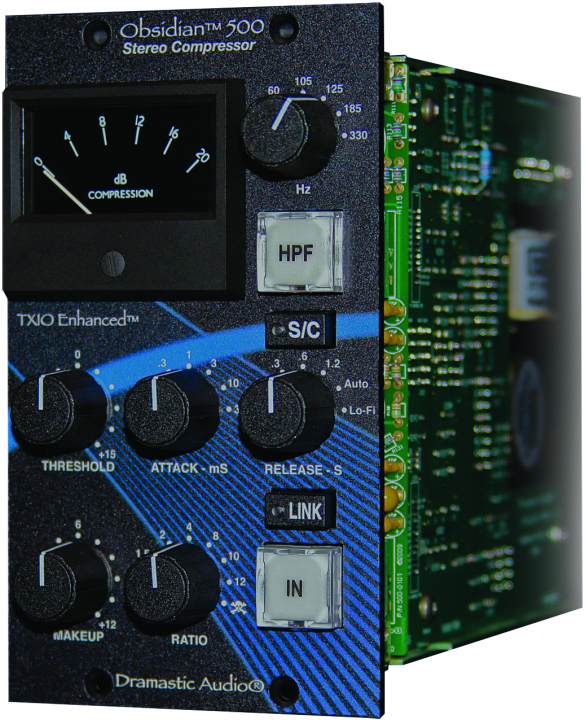 The Obsidian 500 is a stereo VCA bus compressor that has similiar features to its rackmount sibling but with some welcome additions. The cutoff frequency of the HP filter on the 500 is switchable between 60Hz, 105Hz, 125Hz, 185Hz and 330Hz. Also the Obsidian 500 has a “gentile” 1.5:1 compression ratio (perfect for the stereo buss), in addition to the 2:1, 4:1, 8:1, 10:1 and 12:1 ratios and hard-limiting ‘Skull’ mode available on the rackmount. An optional Dual Mono module endows the compressor with external key functionality and an extra gain-reduction meter, for dual-mono compression. The Obsidian 500 also has stepped controls for easy recall, and transformer-balanced inputs and outputs. 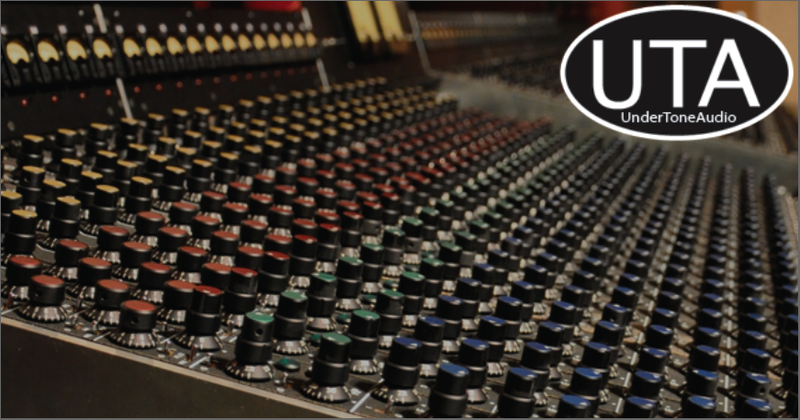 UnderTone Audio made the UTA Custom Console because of their dissatisfaction with the sonics of modern consoles and the constant and sometimes impossible maintenance of the vintage consoles. The UTA Custom Console has some unusual features. 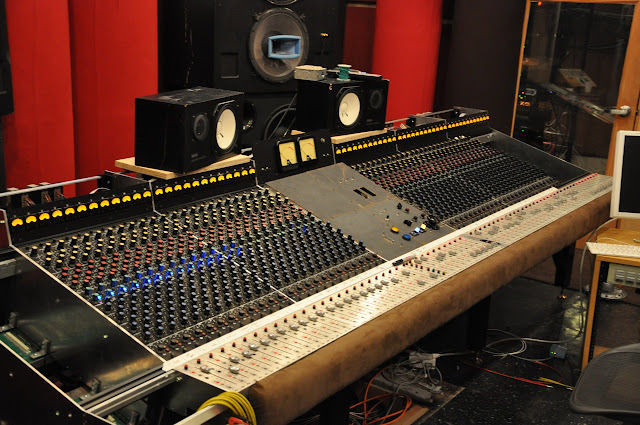 For instance, the main work surface is made of a porous material called ATWS (Acoustically Transparent Work Surface) instead of metal to alleviate comb filtering caused by the console reflecting the signal from the monitors. Notice the much flatter response with the ATWS (blue line) in the critical midrange frequencies. Another feature that I like about this console is that you can bypass each of the four equalizer bands separately. Also "instead of having a switch to select between a shelf and peak shape UTA uses a potentiometer, making it possible to blend between the two shapes. This “Shape Control” offers extraordinary flexibility in deriving the contour and slope of a particular EQ move. It is possible to emulate the contour and slope of any other equalizer made." 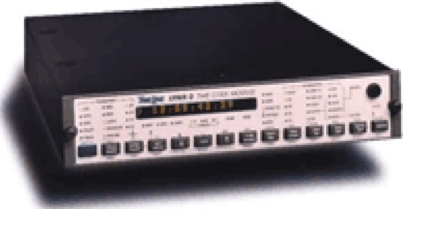 UTA is in the process of making a channelstrip that incorporates this eq called the MPEQ-1. Last but not least UTA uses vacuum tube amplifiers for the mix buss and Control Room Output. The 2400 was a film and broadcast standard for many years. It was first introduced in 1986 and remained in production for a decade. It has been reverse engineered many times over the years by different companies including Eventide. The 2400 uses 4 DSP chips for the number crunching that enables it to do time compression/expansion in real time. Nowadays this can be easily achieved in several different ways depending on the software you choose (e.g. Serato's Pitch 'n Time, Waves Soundshifter). Some DAWs even have this capability built in (Protools Elastic Audio, Logic FlexTime). 2 decades ago there were no such choices and the 2400 was one of the best ways to achieve this effect. The 2400 was used on many Blockbuster movies including "Star Trek V',"Full Metal Jacket","The Hunt For Red October","The Simpsons" and the animated feature "An American Tail" to name a few. It was also used for "jingles" and voiceover work. "The 2400 and 2400 TCF are identical in their basic functions which is to provide flawless time compression/expansion without degrading the original program material. The 2400 incorporates extensive machine control capabilities that allow it to act as a master controller. The 2400 TCF was designed specifically for post production and has no machine control but instead slaves to other machines through the use of time code." You can download the manual for the 2400 here. Here's a link to a page by the circuit designer of the 2400 - Jon Dattoro. He shares more info about the 2400: https://ccrma.stanford.edu/~dattorro/Lexicon.htm and a current Ebay auction of the Lexicon 2400. I started to imagine myself being the NEVE 8128 and all the problems with it. If you didn’t know that room, you would never get that room to work properly. 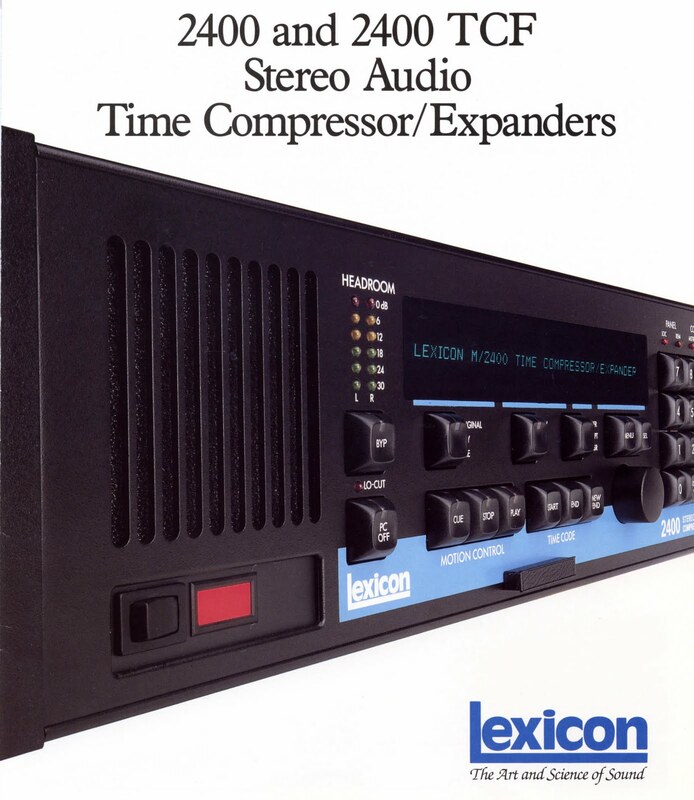 The LYNX machine is a synchronizer that acts as the brain between the console and the tape machines. For some reason, SYNC OUT on the patch bay never gave signal to READER IN on the console for the automation to work. There were only 2 ways you could make that work without pulling apart the back of the console.